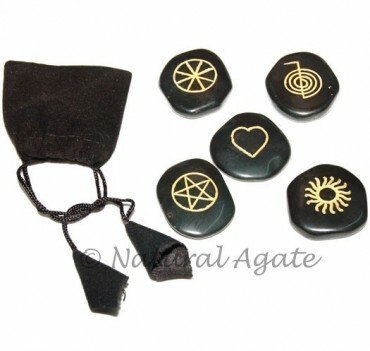 Wiccan Pentagram Set pulls energy from nature and surroundings and uses it for healing. It is a set of five stones. Natural Agate offers a pouch with the stones to keep them safe.